At a time when the LGBT community enjoys more tolerance and equality than at any other moment in history, when gay men and lesbians in more and more countries including the UK can marry their chosen partner, feel secure at work and home thanks to anti-discrimination laws, and benefit from increased visibility, one could say that now is a time for celebration. Yet many LGBTQI people still face unimaginable horrors in countries as diverse as Russian, Syria and Uganda. GFEST contemplates this polarised situation with this year’s theme: (Complacent Present)… Fragile Future? Challenging perceptions of Asian LGBTQI identities, an exhibition at London’s Menier Gallery (9 – 14 November, free) offers a rare glimpse into a world where gender, sexuality and religion are defiant bedfellows. ASIAN FUTURE will feature new work by legendary artist, writer and activist Sunil Gupta, renowned for his honest portrayal of gay life around the world, including his native India where practicing homosexuality is essen Also on display are photographs by Charan Singh, a visual artist informed by years of community activism and HIV/AIDS work in India. A Delhi native, he’s currently taking a PhD in photography at London’s Royal College of Art. Art critic Anna McNay will head up a debate on SEXUALITY AND SOUTH ASIAN IDENTITIES at Menier Gallery on the afternoon of 14 November. There’ll be an illustrated lecture looking at QUEER ART AT TATE MODERN (16 November) by Tate curator Marcus Dickey Horley. Further debates to be announced. GFEST imagines the future of cinema, how it represents contemporary LGBTQI culture and how this has entered the mainstream, with two days of queer films at ArtHouse Crouch End (17 – 18 November, £10 / £7 concessions). The programme opens with the UK Premiere of THE SURFACE (dir: Michael J Saul, USA). The shorts programme is a cornucopia of sexual diversity representing this era of ‘acceptance’. In extraordinary festival favourite ELECTRIC INDIGO (dir: Jean-Julien Collette, Belgium/France) two heterosexual men unite in a non-carnal marriage and raise a daughter together.UNCONDITIONAL (dir: Kent Igleheart, USA) tells the story of a black teen kicked out for being gay, featuring music from Grammy-nominee Hozier. A filmmakers Q&A will follow. This year’s GFEST concludes with an evening of classical music in the hollowed environs of St Pancras Parish Church, with its wonderful natural acoustics (20 November, £7 / £5 concessions). Entitled TONAL FUTURE, the evening aims to raise funds for, and awareness of, the ‘relatively silent’ world of gay composers and gay music. Having worked with the Royal Northern Sinfonia, the National Orchestras of Lebanon and Malta, and having directed Oxford’s University Church mixed-voice choir for 10 years, Gulliver Ralston will present a solo piano recital featuring works of Francis Poulenc. Liam Byrne plays the viola da gamba, a historical hybrid of guitar and cello. Having worked as an accompanist with Opera Ireland, NI Opera and Ulster Orchestra, counter tenor Miles Lallemant will present a short recital accompanied by Duncan Day on piano. Chaired by Gulliver Ralston, Director of Music at the University of Roehampton and at Oxford’s University Church, the panel discussion FRAGILE FUTURE? will debate the impact of LGBT composers and musicians on classical music, and explore the influences of sexuality on creation of music (University of Roehampton, 21 November, free). 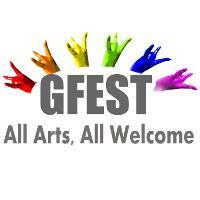 GFEST – Gaywise FESTival is presented by arts charity Wise Thoughts, a pioneering organisation based in Haringey, north London, that combines creative use of diverse art forms such as film, visual art and performance, and delivers targeted services.